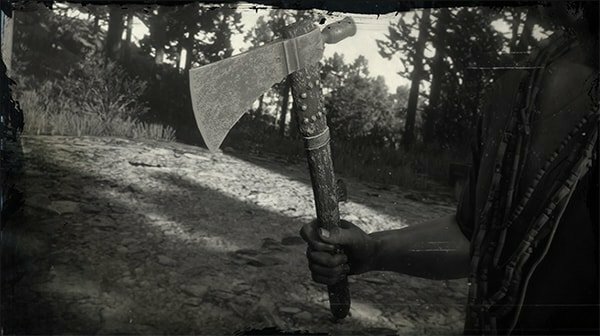 Tomahawk is a Special Weapon in Red Dead Redemption 2. A basic Tomahawk with a lightweight wooden shaft and thin blade. This strong and fast projectile weapon is ideal for quick thrown attacks, or it can be used as a close-range melee weapon against enemies if needed. It can be purchased from some less-than-reputable sellers, or save a trip by recollecting the Tomahawk after throwing. One of the only weapons will reusable "ammunition", you can pick it up from the corpse of your victim or the ground if you missed.